The bad thing is the dust is settling ALL OVER the house! 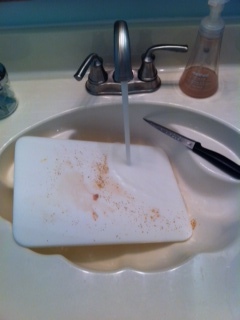 And I mean all over the house. It has found its way clear into the master bedroom, bathroom, and up the staircase. 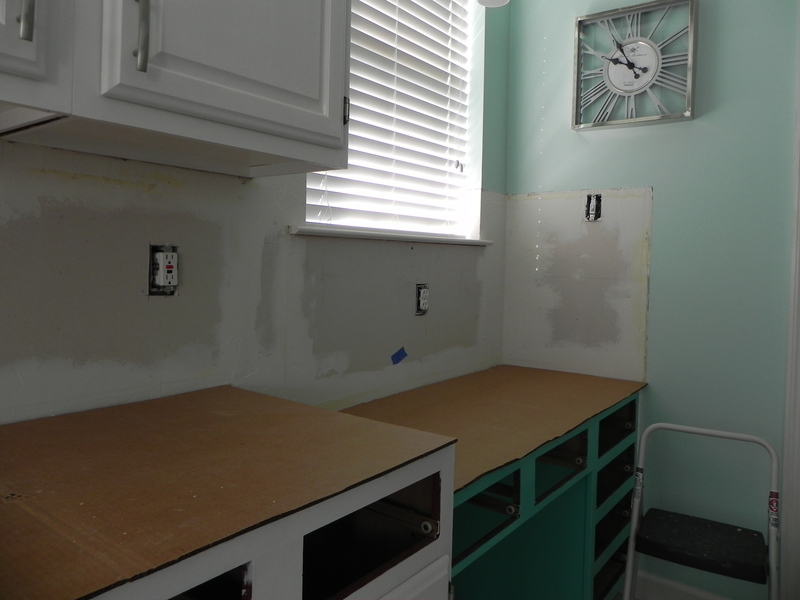 We have been working for the last month on the kitchen walls where the backsplash will go. 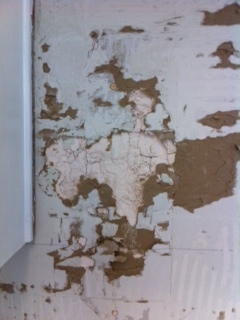 The tile came off in spots really easy with very little damage to the drywall. In other places, it wasn’t pretty! I spent hours, and I’m talking hours, chiseling and scraping the plaster off the drywall, only to realize I did it for absolutely no reason! Except maybe to let y’all know…DON’T DO IT! 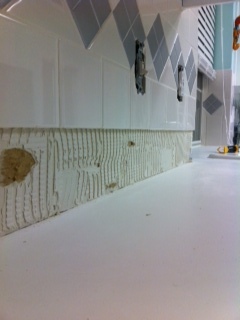 Just replace the drywall right off the bat so you have a new and wonderfully flat surface to tile on! The only scraping you really need to do is around the edges, where your mud and tape will be. 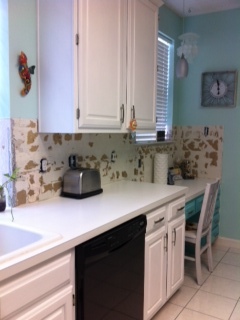 This entry was posted in DIY & Crafts, House and tagged backsplash, ceramic tiles, diy, drywall, kitchen, makeover. Bookmark the permalink. ← The Battle Rages on!